The aim of this survey study is to investigate the level of awareness and prevailing attitudes of schoolstudents toward renewable energy (RE) in a country which is heavily reliant on fossil fuels despite having high RE resources. The importance of this study stems from the need to better understand the role of education in cultivating awareness of RE, which is necessary for the students to become future responsible energy consumers. To that end, we developed a suitable questionnaire. In total, 617 respondents from both rural and urban areas filled in the questionnaire. Our results indicate that students have limited ability to distinguish renewable from non-renewable energy sources despite many respondents being aquatinted with the common RE sources like solar and wind. 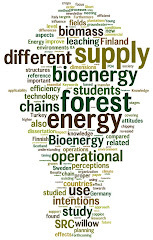 Furthermore, over 50% of students are unaware of biofuels such as biodiesel and bioethanol. Nevertheless, 87% of students consider RE to be a viable future energy option, and generally exhibit a positive attitude and willingness to adopt RE even at high prices. Overall, young females appear to be more acquainted with RE than young males. Likewise, students studying in urban areas are more aware of RE and more strongly support their adoption, in comparison to rural students, who show a preference for nuclear energy. This study highlights the importance of implementing RE education as early as possible to encourage RE development, which is necessary to alleviate the risk from fossil fuel-related environmental problems.